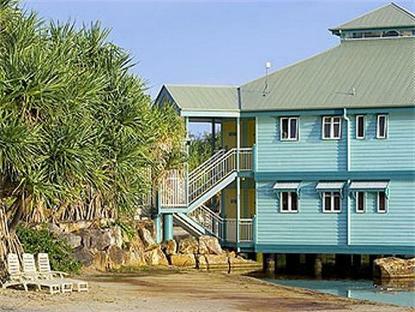 The 4 star Novotel Twin Waters Resort is located on the Sunshine Coast in Queensland, only 5 minutes from the airport. The hotel has 380 rooms and is set in tropical gardens, surrounding a central private lagoon with sandy beaches. This is the perfect d. estination for a break or holiday with your partner or family. Guests have free access to windsurfers and kayaks and there are four restaurants and three bars to choose from, plus a Kids Club, day spa and a wide range of leisure activities to enjoy.